The Isles, who have allowed the fewest goals in the league, host Anaheim on Sunday afternoon at NYCB Live's Nassau Coliseum. If all goes well for the Islanders, which has been the case lately, it will be business as usual against the Ducks on Sunday afternoon at NYCB Live’s Nassau Coliseum. The Islanders (28-15-4) ascended to first place in the Metropolitan Division on Friday night with an emotional 2-0 win over the Capitals in coach Barry Trotz’s first return to Washington since leading the Caps to the Stanley Cup last June. Playing a much more methodical, defense-oriented game than in seasons past, they have won four straight and 14 of 17 as they seek their first playoff berth since 2016. The Islanders, who did not practice on Saturday, are in first place past the season’s halfway mark for only the second time since 1990-91. 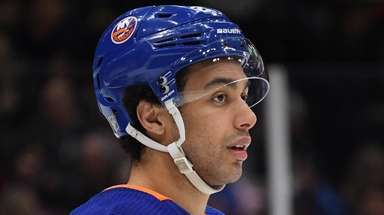 The Islanders have allowed an NHL-low 119 goals against, including three shootout-deciding goals. At the same point last season, they had allowed a league-worst 173 on their way to giving up 293, the most in the NHL since 2007. The Ducks (21-19-9) beat the Devils, 3-2, on Saturday afternoon after snapping a 12-game winless streak (0-8-4) with Thursday’s 3-0 victory at Minnesota. Losing streaks, of course, happen. 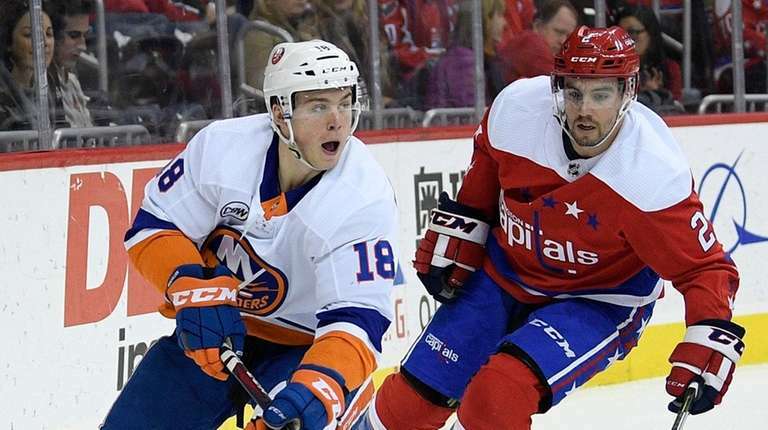 But enduring a precipitous slide seems unfathomable for the Islanders right now, given their strong defensive play, goaltending and Trotz’s trust to roll his four lines without worrying too much about matching up against the opponent’s best skaters. Goalie Thomas Greiss made 19 saves for his 10th career shutout on Friday and Robin Lehner, who has won 10 of his last 11 decisions, entered Saturday leading the league with a 2.11 goals-against average. He was second with a .928 save percentage.